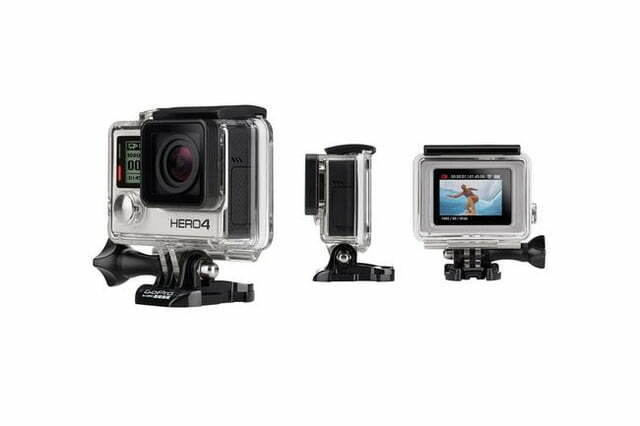 The Black and Silver versions of the Hero4 will also come in either Surf or Music kits. These will come with special mounts for either placing on a surfboard, or a mic stand or instrument. GoPro says the Wi-Fi connection is 50-percent faster than in the previous generation, and have better power management. With the Black model, GoPro is touting the ability to capture 4K photos, in which an 8.3-megapixel photo can be extracted from a 4K video. It means users can capture both high-quality videos and photos without having to choose between the two. As we originally alluded, there’s a new entry-level model for $130. Simply called the Hero, it’s more barebones as it lacks wireless connectivity, but it still captures Full HD videos at 30 fps (720p at 60 fps). It retains the familiar Hero form-factor and waterproof housing, but has the lower price point to appeal to hobbyists and parents buying an action cam for their kids. 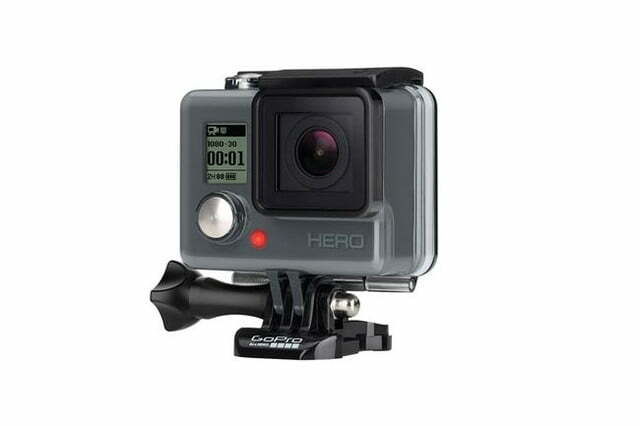 In addition to these new products, the Hero3 White ($200) and Hero3+ Silver ($300) will remain in the lineup. The Hero4 Black Edition resolution frame rates are said to include 4K at 30 frames per second, 2.7K at 30 fps, 1080p at 60 fps, and 720p at 120 fps. The Silver Edition can capture 2.7K at 30 fps, 1080p at 60 fps, 960p at 100 fps, and 720p at 120 fps. New manual settings are also rumored to be on the cards. Further speculation centers around a budget model called the Hero. This device will offer video recording up to 1080p at 30fps but drops features like Bluetooth, Wi-Fi, and the touchscreen. If you want to get yourself some decent quality footage but don’t have an extra few hundred dollars to play around with then it looks like the Hero could be the camera for you. We shouldn’t have too long to wait to see if these leaks are on the money: GoPro is said to be readying an announcement for as early as next week.